Over the last years, Venezuela has become a modern poster child for the failure of socialism and with good reason. It offers an abundance of lessons and stern warnings for many western nations, but it also provides a very insightful and relevant reminder for individual investors too. Within the space of 5 years, a combination of plunging oil prices and extreme socialist policies have brought the country to its knees, together with its increasingly desperate citizens. Despite the fact that Venezuela has the world’s largest proven oil deposits and is also rich in coal and gold, the country today faces one of world’s worst humanitarian crises, according to the UN. Its downhill path began with the Hugo Chavez presidency, during which billions were pumped into populist programmes. This economic mismanagement, the push for nationalization and centralization and ultimately the country’s descent dramatically accelerated with the election of its next socialist President, Nicolas Maduro. Plummeting oil prices revealed the true extent of the country’s economic destruction and dragged 87% of its population into poverty, while over 40% now live below the extreme poverty line. Almost 20 years of expropriations and an aggressive state takeover of the economy has stifled all hope for growth, while a bankrupt, sanction-hit and unpopular government grows more desperate by the day. Mass arrests, torture and even executions have become the norm in the state’s response to critics and protestors, with over 8000 documented cases of extrajudicial executions and fears that the actual dark figures for the regime’s victims are far greater. The once prosperous nation has been hit with hyperinflation, with prices doubling every two weeks and expectations that the inflation rate could exceed 1,000,000% this year, according to the IMF. This figure puts the country virtually on par with Zimbabwe a decade ago and is reminiscent of the Weimar Republic collapse. As a result, Venezuelans are struggling with a lack of food and basic provisions, as decades of mismanagement and centralization policies have caused the country’s agriculture sector to collapse. As shortages have spiked, officials and those close to the government use food rations as a means of political control. In fact, the government even moved to formalise this practice in mid-November. It unveiled a new, smart “Fatherland ID” card, designed by the Chinese ZTE Corp. The new ID card is linked to access to food and healthcare and has the capacity to track personal information, including party affiliation, property owned and social media presence. Oil accounts for around 90% of Venezuela’s exports, but with the collapse of oil prices and plummeting production levels resulting from chronic state mismanagement, the revenues no longer suffice to support the crippled economy. One of the very few lifelines left was gold, as Venezuela had extensive reserves. Its key trading partners include China and Russia, but it is Turkey that plays a leading part, with $834 million worth of gold exports in the first seven months of 2018. However, this window has also been recently closed by targeted US sanctions impeding gold exports. This fresh wave of sanctions comes after a series of measures and embargoes against the Venezuelan government that have been introduced over the last years both the US and the EU, putting added pressure on the already explosive situation within the country. Back in September, President Trump even hinted at the possibility of a “military option” to oust Maduro, an idea that has since gained some traction, as the country continues to descend into chaos under an increasingly dictatorial regime. Venezuela also begun liquidating its once significant gold reserves after the oil prices fell. Just two years ago it still had the 16th largest gold reserves in the world. Since 2010, it has sold more than half of its holdings and over the last couple of years it ranked first as the world’s top gold seller. As for the reserves that remain in the central bank in Caracas, the latest figures show a sharp drop this year to 160 tonnes, from 364 tonnes in 2014. In a last-ditch attempt to halt the economic death spiral, the cash-strapped Maduro government tried to repatriate gold that had been stored in the Bank of England. Although the amount stored in BoE is rather modest, Venezuela’s 14 tons of gold, worth about $550 million, would be a great relief at a time when its hard currency holdings have dwindled However, the request was held up for two months, as the BoE stalled and finally declined to return the gold, citing insurance and transport problems as well as the concern that the Maduro government would sell off the gold for personal gain. This development has dealt a severe blow to the government that uses its gold as collateral to secure billions in loans. The reserves held in BoE would have been lent out for far greater sums that the 14 tons of gold are actually worth. As the bolivar’s purchasing power plummeted, the Maduro government has tried different schemes and initiatives in largely fruitless efforts to stop the total monetary collapse. Maduro has enforced multiple and massive minimum wage hikes, the latest one being a 60-fold increase. And yet, the minimum wage still doesn’t suffice to buy a single kilo of meat. Back in February, the Venezuelan government launched the “Petro”, a crypto currency aimed at bypassing US sanctions, with each token supposedly backed by a barrel of Venezuelan crude. The government has released very sparse information about how the currency actually works. It did, however, claim that it raised $735m from the ICO, an unverified and rather implausible figure, as this would make it the 4th largest ICO in the world in 2018. Even though the Petro has since been widely discredited, it has been used as backing for the new Sovereign Bolivar banknotes that Maduro announced, that essentially erased five zeroes from the old bolivar. Incredible as such a move might sound, Zimbabwe tried the exact same thing during its period of hyperinflation; simply printing new money, with less zeroes on them and hoping that inflation will go away. Rather unsurprisingly, it didn’t work, neither in Zimbabwe, nor in Venezuela. Having recorded nothing but failures in their attempts to revive the economy and the currency, the latest move of the Maduro regime was to sell gold certificates to the public as a savings vehicle, especially targeting seniors. The “Savings in Gold” programme allows Venezuelans to buy certificates that entitle them to 1.5g and 2.5g gold bars, all held by and guaranteed by the government. Given that trust in Maduro and his party continues to nosedive, it will likely come as no surprise that the gold certificates didn’t exactly fly off the shelves. 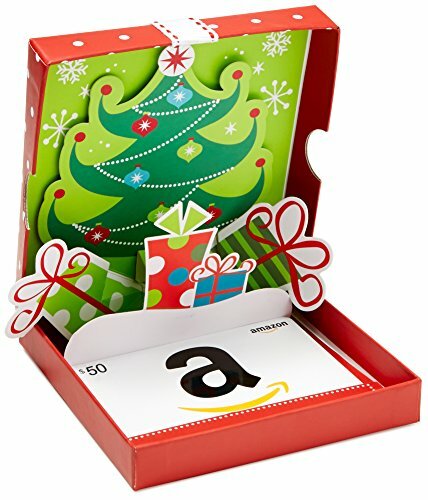 The Case for Gold: A M... Ron Paul Check Amazon for Pricing. Interest in government-backed gold certificates might be low, but demand for the physical form of the metal has skyrocketed. With a cup of coffee costing 2 million bolivars (from 2,000 bolivars just a year ago), viral pictures of bolivar notes being used as napkins and a large part of the population having reverted to barter, fiat money in Venezuela has become meaningless. As is always the case in scenarios like this, demand for gold has exploded. Gold prices have increased 3.1 million% since the beginning of the year. One ounce of silver can buy enough food to feed a family for three months, while a single ounce of gold is enough to buy a house. “It can’t happen to me”, “this would never happen here” and “the government would never allow things to get that bad”, are arguably thoughts that some Venezuelans had too before the crisis spiralled out of control. In 2001, not that long ago, the country was still amongst the most prosperous nations in Latin America; or at least it appeared that way, if one didn’t look too closely under the hood and examined the socialist engine that was powering the illusion of growth. However, as is the case with all fake booms, the very real bust is as inevitable as it is painful for the population. 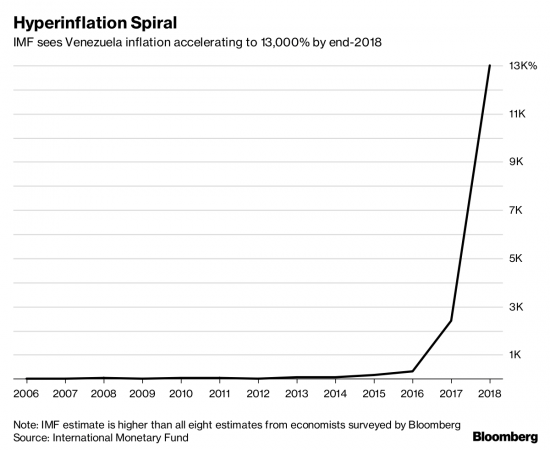 From our present vantage point, hyperinflation and the extreme case of Venezuela might seem far-fetched and difficult to imagine. Nevertheless, the economy does not have to deteriorate to this extent and the purchasing power does not have to become so devastatingly corroded, before a significant impact is felt by the average citizen, investor and saver. Contrary to the mantra of “good inflation” that mainstream economists like to repeat and the targets set by our central bankers, there is no such thing as a healthy amount of inflation; all inflation is destructive, as it is nothing but a hidden tax. As for the central banks’ ability to control, to tame it and to keep it at strictly within their desired levels, the sound investor should be intensely sceptical. For one thing, the amount of loose money injected into the system since 2008 is unprecedented and there is no reference point we can use from the past to predict the impact that the massive unwinding will have on the economy. Thus, all confident and reassuring predictions of smooth sailing ahead are largely hollow and should be taken with a sizable pinch of salt. 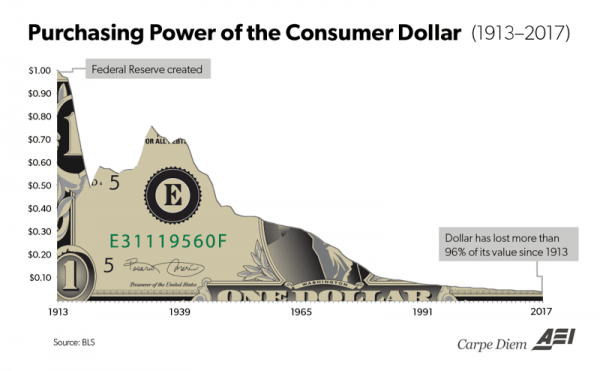 After all, when it comes to inflation and the purchasing power of fiat money, history has made one thing abundantly clear: your fiat cash will only be worth less in the future than it does today – until it reaches its intrinsic value, which is zero. 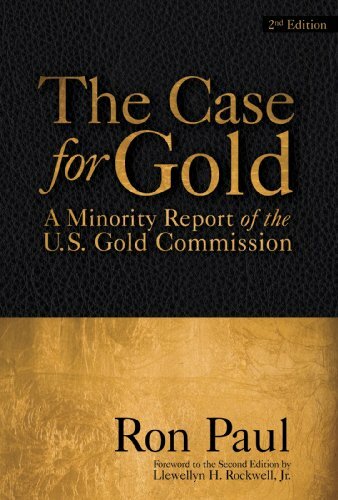 “This is the shabby secret of the welfare statists’ tirades against gold. Deficit spending is simply a scheme for the confiscation of wealth. Gold stands in the way of this insidious process. It stands as a protector of property rights. 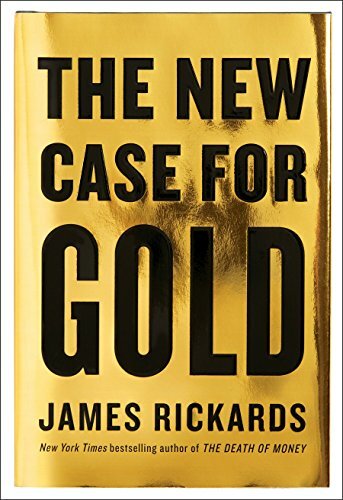 If one grasps this, one has no difficulty in understanding the statists’ antagonism toward the gold standard.” Gold and Economic Freedom.